Monitoring the amount of fluoride in your water is important to the health of your children’s teeth. Fluoride is present in virtually all waters at some level and it is important to know the fluoride content of your water, particularly if you have children. Humans and animals use fluoride in the structure of their bones and teeth. In proper amounts, fluoride reduces the formation of cavities in children. Many public water systems add fluoride to the water for this reason. For those on a private well, fluoride levels can be a concern. Naturally occurring fluoride is present in the environment as water dissolves the fluoride compounds when it passes over or through soil and rocks. The result is small amounts in nearly all water sources. The National Groundwater Association says excessive ingestion of fluoride can cause fluorosis—the discoloration of teeth and surface irregularities. In some regions in the United States, wells contain levels of fluoride that are greater than the level recommended by the US Public Health Service for preventing tooth decay. 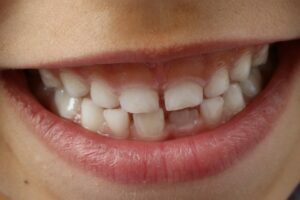 According the the Center for Disease Control, The U.S. Environmental Protection Agency (EPA) currently has a non-enforceable recommended guideline for fluoride of 2.0 mg/L that is set to protect against dental fluorosis. If your well water has fluoride levels exceeding this recommended guideline, EPA recommends that children 8 years and younger be provided with alternative sources of drinking water. The recommended fluoride level in drinking water for good oral health is 0.7 mg/L (milligrams per liter). If fluoride levels in your drinking water are lower than 0.7 mg/L, your child’s dentist or pediatrician should evaluate whether your child could benefit from daily fluoride supplements. Their recommendation will depend on your child’s risk of developing tooth decay, as well as exposure to other sources of fluoride, such as drinking water at school or daycare, and fluoride toothpaste. It is not currently feasible to add fluoride to an individual residence’s well. To find out the fluoride concentration in your well water, it would need to be analyzed by a laboratory. Your public health department should be able to advise how to have your home well water tested. 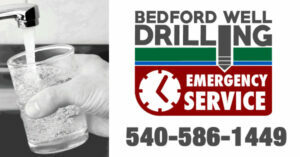 Contact Bedford Well Drilling for more information about water testing or any questions you may have about your water well.